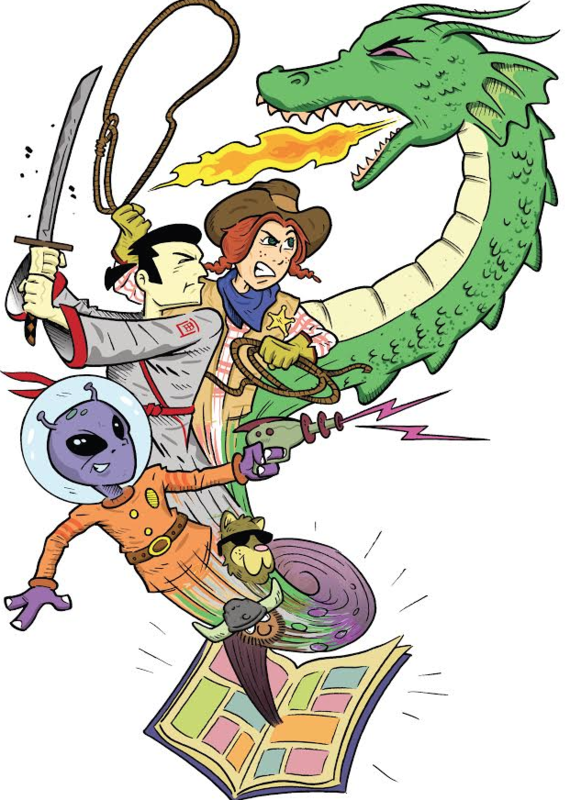 Launched in 2017 with the support of several Marin County libraries, the Marin Comics Fest (MCF) explores the narrative power of comics art and illustration and the variety of subjects and stories that it helps to convey. Originally a week-long event, the MCF now features a series free creator talks, demonstrations, and book signings at several venues around the county throughout the month of September. It’s an excellent opportunity to discover new comics, books, and graphic novels and to meet the illustrators and authors behind them. We greatly appreciate the Marin County libraries, the Cartoon Art Museum, Copperfield’s Books, and Blue Moon Comics for helping the fest to continue and expand.